Wedding season is upon us once again, and the political division in our country is slowly becoming a chosen theme by many brides and grooms. While it’s certainly not the oddest way couples have solidified their relationship, it’s definitely up there on the list. 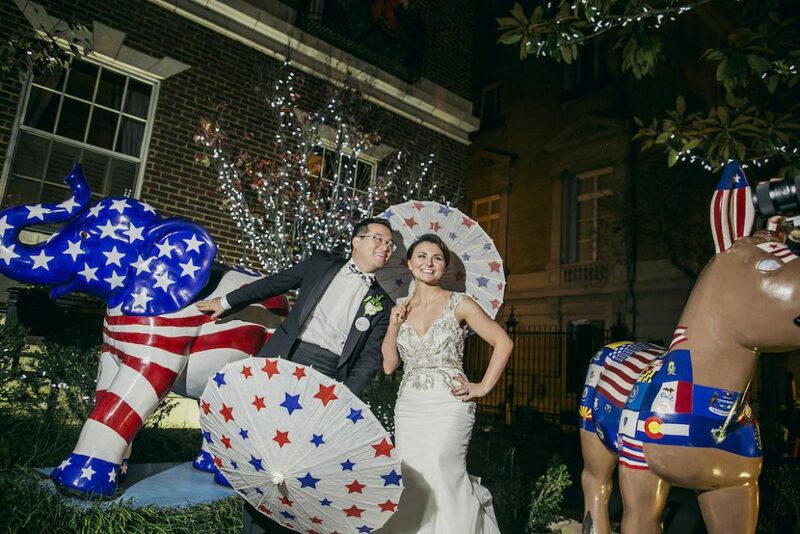 A MAGA wedding certainly isn’t just for his supporters though as both Republicans and Democrats are taking on this new trend. It seems like something one might regret when they’re flipping through their wedding album a few decades from now but to each their own. 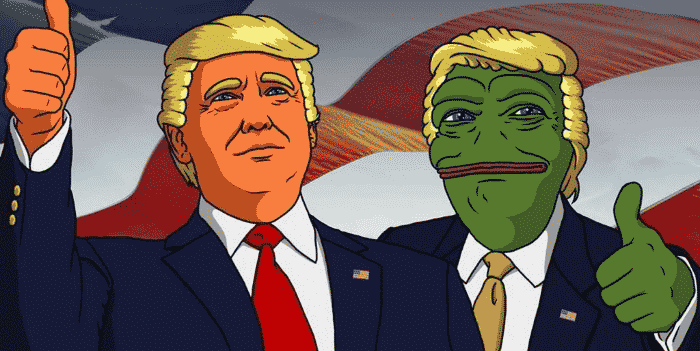 Yes, MAGA weddings are a thing, and they’re more ridiculous than you can imagine! The MAGA wedding theme is being implemented from the very beginning with Trump being used in proposals and engagement announcements. 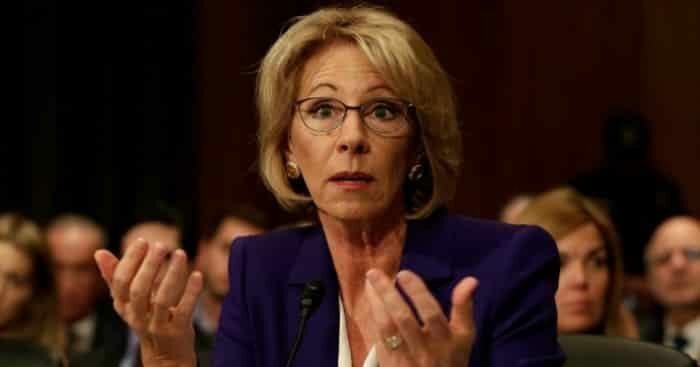 hoosing this direction isn’t out there these days, as many couples are deciding to steer clear of more traditional announcements and focusing more on a humorous angle instead. That’s how you get your proposal to go viral, right? This couple got it right and likely their friends, regardless of whether or not they support the president, loved their Trump-themed engagement announcement. 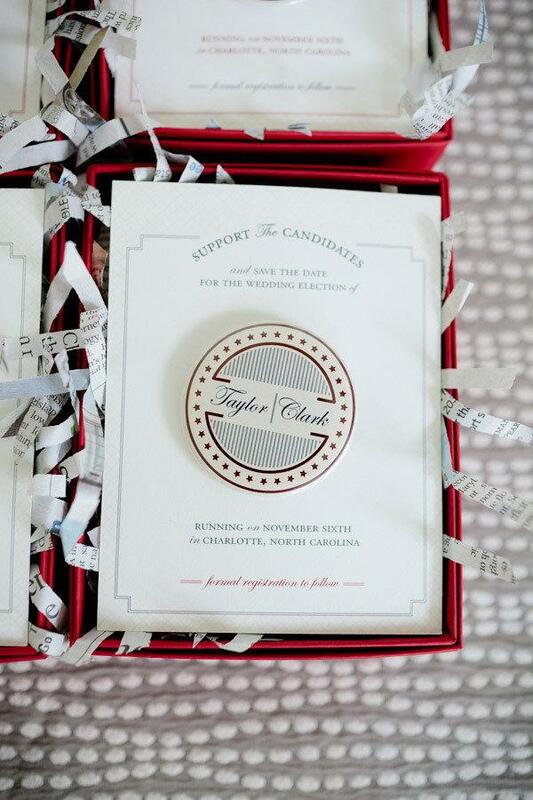 Any time there’s a themed wedding, the invitation is used to set expectations. 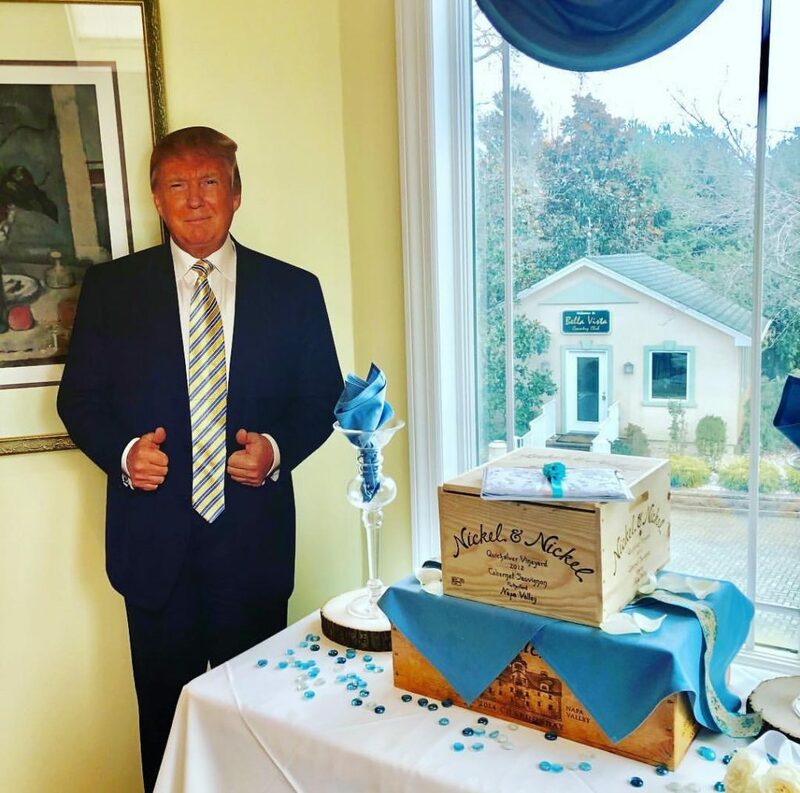 When you’re having a MAGA-themed ceremony or reception, it’s hard not to include some election decor. 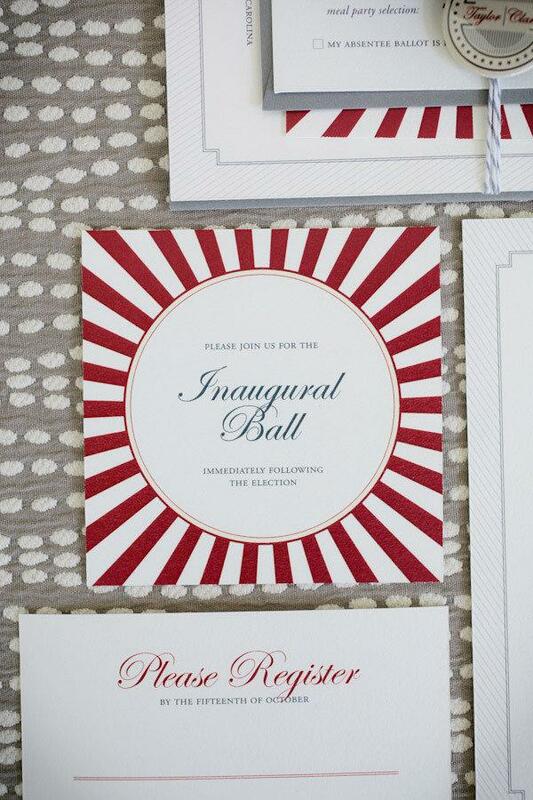 This couple decided to create their save-the-dates and invitations with a campaign theme, inviting their guests to an “inaugural ball” after their ceremony. 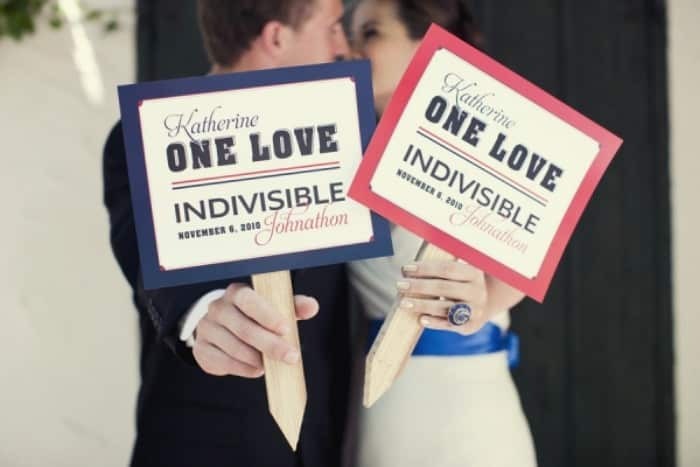 Even a MAGA-themed wedding doesn’t have to focus solely on the Republican side! 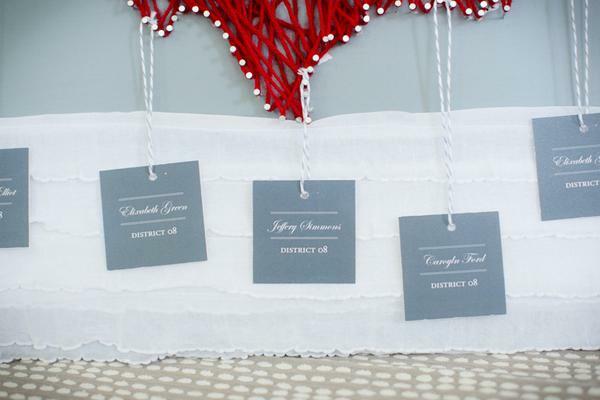 Anyone who has planned a wedding knows that it’s the small details that make it stand out. Everyone is going to expect a fancy cake and beautiful centerpieces, but the little additions are a great way to make the big day extra special for guests. 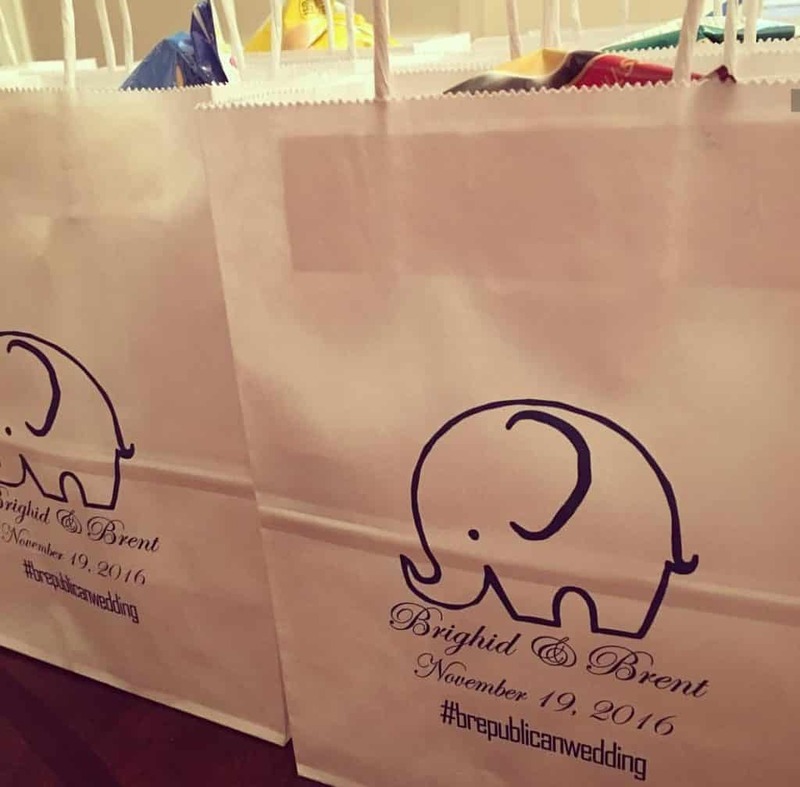 This couple used a unique hashtag for their Republican-themed wedding, which you can see on the bags made for hotel guests. 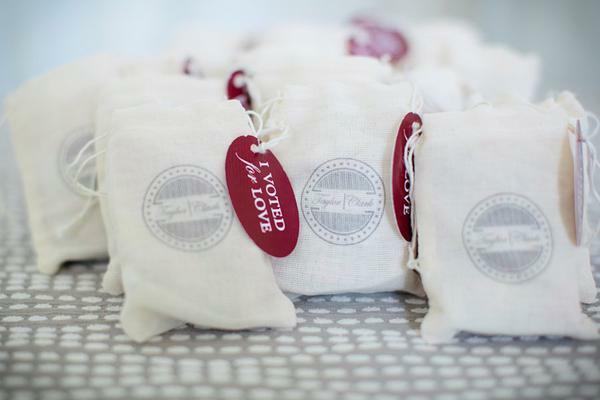 Some other small details MAGA-themed weddings have had include a seating chart using voting districts to name tables, American flag cufflinks featuring Trump, candidate pins, and “I Voted” stickers such as those seen here. 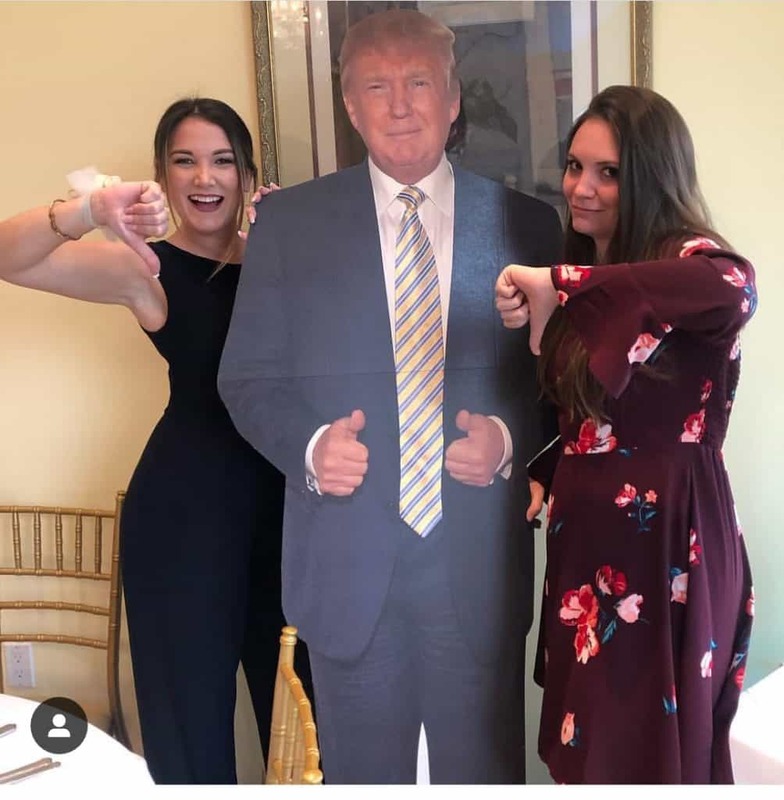 What’s a MAGA wedding without a lifesized cardboard cutout of Donald Trump himself? 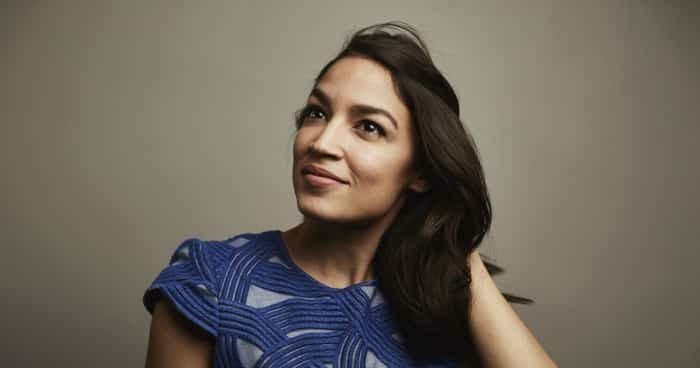 It’s the perfect photo-op for guests, regardless of where their beliefs lay on the political spectrum. 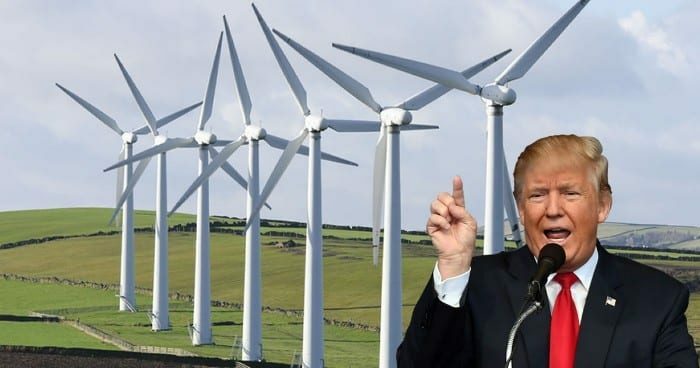 Whether they’re pro or against Trump, they’ll want to take a selfie with this guy. 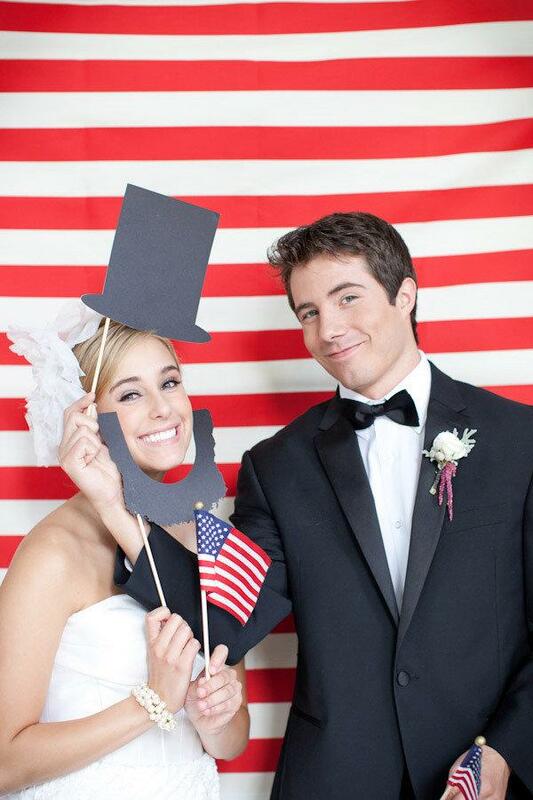 Those who opt for a more traditional photo booth are using presidential props. 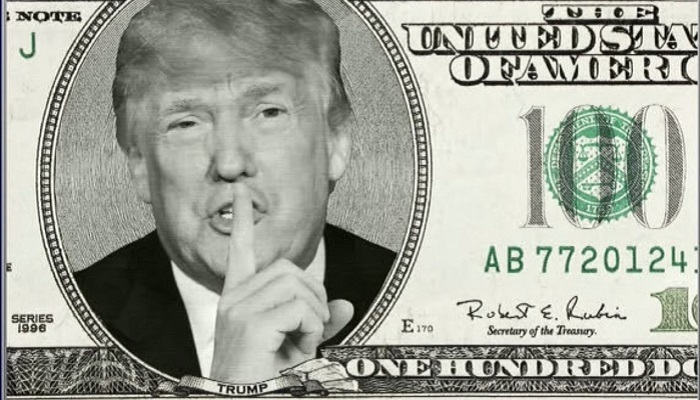 From Lincoln to Trump, these props can turn an ordinary picture into a political masterpiece. The reception is when everyone goes nuts and enjoys a cocktail or two. If you have any guests with opposing political views attending, then this is when things might get interesting. If you really need to have a MAGA wedding, try to keep it politically neutral. Otherwise, you might end up with a dozen or so guests on your dance floor running around in circles wearing “I love Trump” t-shirts.